We inspect our vehicles before we purchase them. However, for your piece of mind, we offer extended warranties above and beyond of manufacturer warranty (when still in effect).Understand that a third party provides these extended warranties for an extra cost.Please, inquire about them. Our team is here to help you make your purchase as smooth as possible. The first question most people ask is what if my car never breaks? It is a given that all cars are going to break. If they didn’t, vehicles would all have unlimited lifetime warranties. According to the most recent J.D. Power dependability study, 61.6% of all three year old vehicles had repair work done. And as vehicles get older the number of problems increase. This isn’t very surprising to anyone who has ever owned a car. The newer and more sophisticated cars are becoming increasingly more expensive to fix. The average cost to repair an air conditioning system for example is $850. Over the next five years repair costs are going to increase about 12% per year. That $850 air conditioner repair today could cost as much as $1,500 to repair when it breaks five years from now. One covered repair can pay for the entire warranty and you are buying tomorrow’s repairs at today’s prices. Is putting $3,000 in the bank and self-insuring a good investment? That’s not an investment, it’s a gamble. 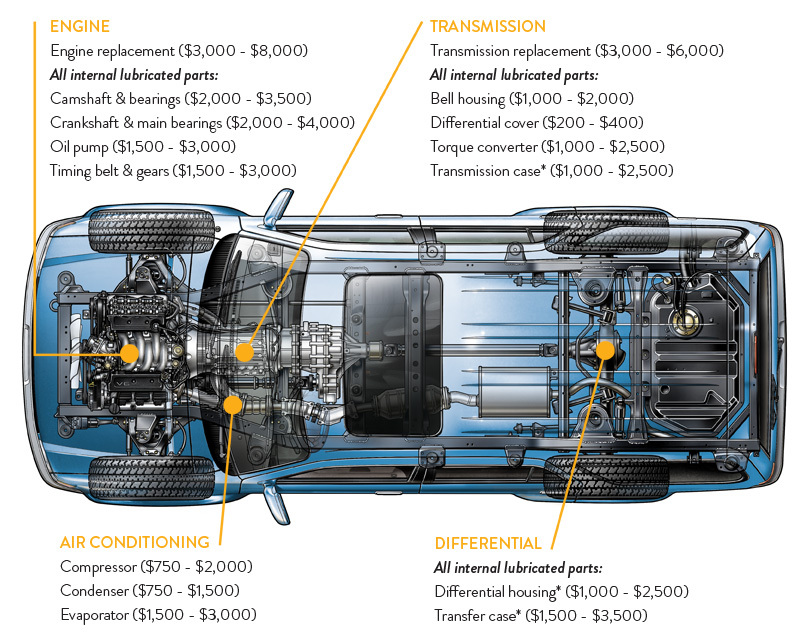 If your transmission goes next month there goes your $3,000 and you still have years of repairs to worry about. There is no such thing as self-insuring, either you get coverage or you don’t. The basic concept of insurance is someone else has to gamble and not you. According to government studies 73 percent of vehicles are misdiagnosed the first time. The typical dealer or repair shop might see a particular problem once or twice a month. Warranty companies might see the same problem two or three hundred times a month and have experience dealing with it. It’s in the warranty company’s best interest to get your repair fixed correctly the first time, since they are still liable if it doesn’t get repaired right. All of the top companies will work with your repair shop to diagnose and correctly repair the problem. Having this level of expertise on your side is a major benefit. Not only will you save money on repairs but many extended warranties also include added benefits such as 24/7 roadside assistance, towing, car rental and travel interruption protection. A much overlooked benefit of a warranty is that a vehicle still under warranty has a much higher resale value. This makes warranties financially more attractive in protecting your investment in your vehicle.